to browse our dress options. 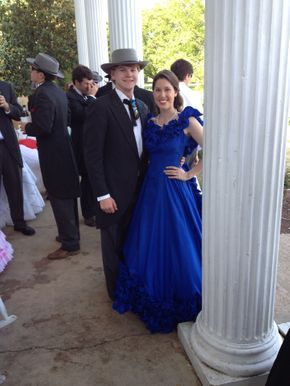 Southern Belle Dress Rental, Antebellum Dress Rental, Southern Gentleman Tux, we RENT them at Costume Party, call us at 662-323-9771; we rent 1 dress or 50 dresses, 1 tux or 150 tuxes! 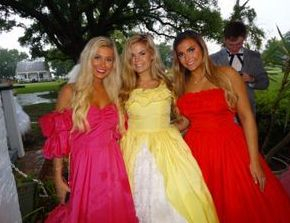 Costume Party is located in Starkville, MS. We offer theatrical grade quality costumes, trendy costumes, vintage clothing, and costume accessories. 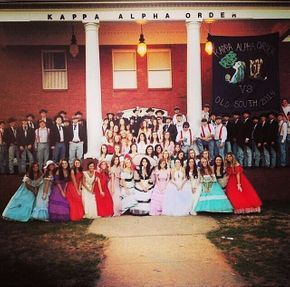 Mississippi State University, home of Costume Party in Starkville, MS. Costume Party has been open since 2008 and shipping costume rentals since 2010. We are a family based company and strive very hard to offer a high quality product at a reasonable price. We don't charge for extra for handling and try to keep shipping costs as low as possible. Our store keeps regular hours if you are close by Starkville, we would love to have you visit the store. Our warehouse is maintained at a separate site. We rotate inventory at the store frequently. The Southern Gentleman tux look consists of charcoal grey cutaway tux coat, (We have ALL sizes 36 to 56) tux shirt, western style bow tie, pinstriped adjustable waist pants (waist sizes 26" to 56"), and flat top Planter style hat - 3-4 different styles available. 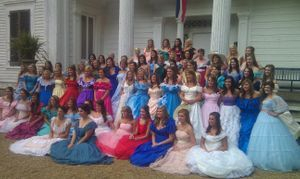 Southern Belle Dress Rental, Antebellum Dress Rental, Southern Gentleman Tux Rental - Rent by the week. 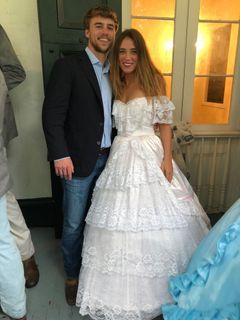 Dresses come complete with dress, hoop, and return shipping label. 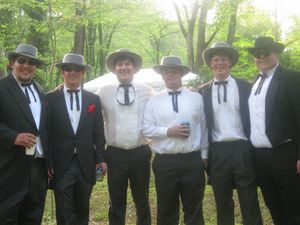 Tuxedos come complete with pants, shirt, bow tie, coat, and hat - or rent individual items. Click our icon above to take you to Costume Party's Online Store to browse our dresses. 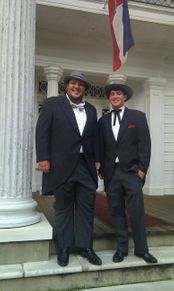 Call us for more information about the tux rental. We are located in Starkville, Mississippi but ship nationwide!